Nobel Prize winner Kazuo Ishiguro has hailed the award as a unifying force as he spoke of the “danger of losing an internationalist vision in the world”. The 62-year-old Japanese-born author, who moved to the United Kingdom aged five, was awarded the £842,000 prize for his pursuits in literature. His most acclaimed works include 2005’s Never Let Me Go and 1989’s The Remains Of The Day, for which he won the Man Booker Prize. Speaking from his home in north London during an impromptu press conference following his win, he described the accolade as “amazing and totally unexpected news”. Ishiguro said although he has lived in the UK most of his life, “a large part of my way of looking at the world, my artistic approach, is Japanese”. “I have always looked at the world through my parents’ eyes,” he continued. Asked about his current projects, the author said: “I’m always working on a novel, but I’m hoping to collaborate on comics – not superheroes. The Nobel Prize winner said he was happy with last year’s winner, musician Bob Dylan, who he described as “my hero”. Asked about being a Japanese author living in Britain when the country is leaving the EU, he added: “At the moment we are living through a period of history where everyone is looking inside and people within their communities are trying to separate. The Nobel judges said his work had “uncovered the abyss beneath our illusory sense of connection with the world” in novels of “great emotional force”. She described the author’s style as “precise… even tender sometimes… very held back, unassuming”. She dismissed any suggestion that judges deliberately went for a more straightforward choice this time after opting for Dylan for last year’s literature prize. “We thought that last year was a straightforward choice: We picked one of the greatest poets in our time. And this year, we have picked one of the most exquisite novelists in our time,” she said. 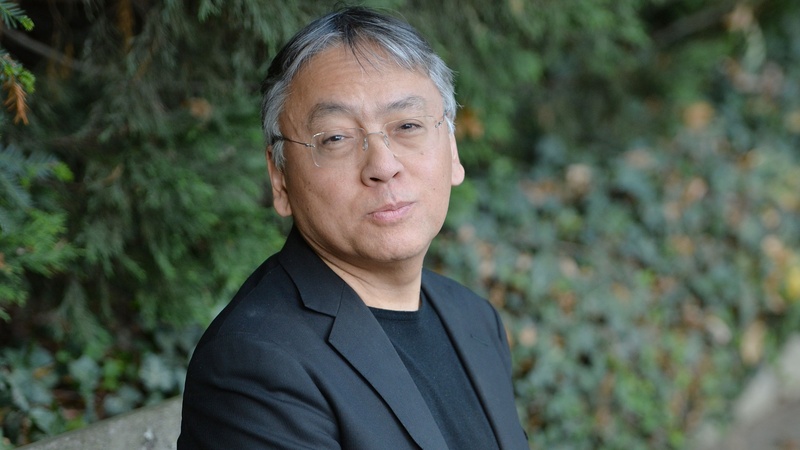 Ishiguro graduated in English and philosophy at the University of Kent in the 1970s, before studying creative writing at the University of East Anglia. His debut book was A Pale View Of Hills in 1982 while he is also well known for Never Let Me Go (2005). The Remains Of The Day was his third novel and was adapted into a film starring Sir Anthony Hopkins and Emma Thompson. The Royal Society of Literature, where he has been a fellow since 1989, said his win marked a “proud day” for the group, but also for “literature, especially literature written in English”.